KA-BAR Jarosz Globetrotter Drop Point fixed blade knife designed and perfected by Jesse Jarosz.Made from 0.165 inch thick 1095 Cro-Van steel, the Globetrotters 3.50 inch epoxy powder coated blade is proudly embellished with the KA-BAR logo. 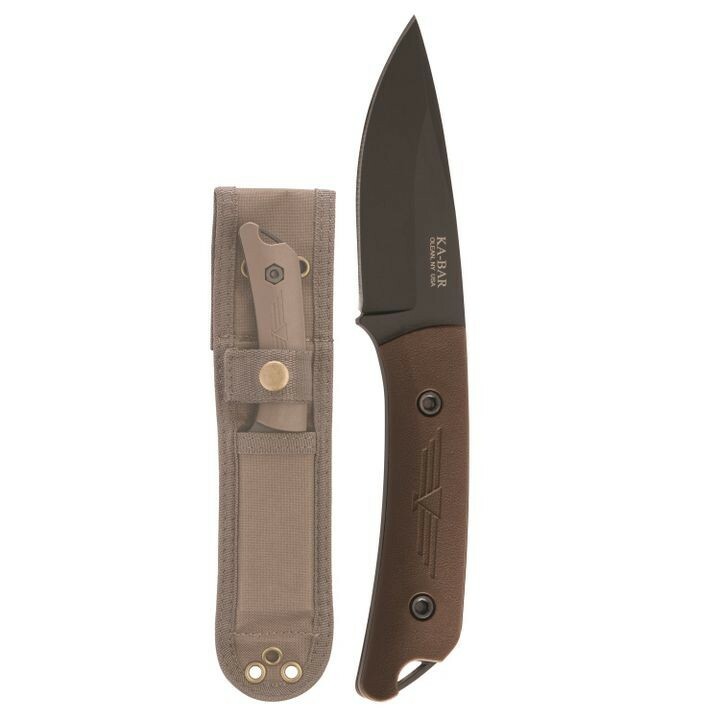 Overall length measures 7.5625 inches with a handle length of 4.06 inches. The handle scales are made of Ultramid and it includes a practical polyester sheath. Made in the U.S.A.